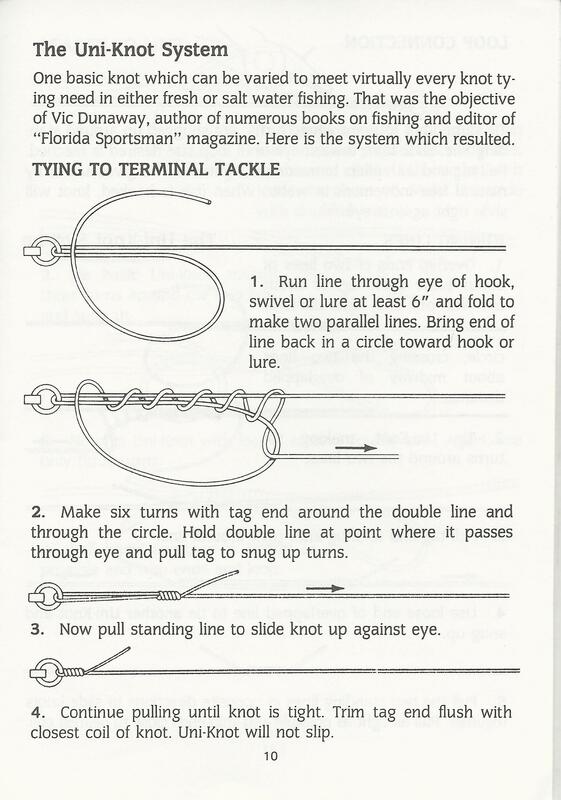 Basic Fishing Knots | Capt Tony's "Walkingangler.com"
There are dozens of knots that can be used to attach both hooks, rings and swivels to your main or leader lines. In this section, I will include the most common knots and diagrams on tying them. 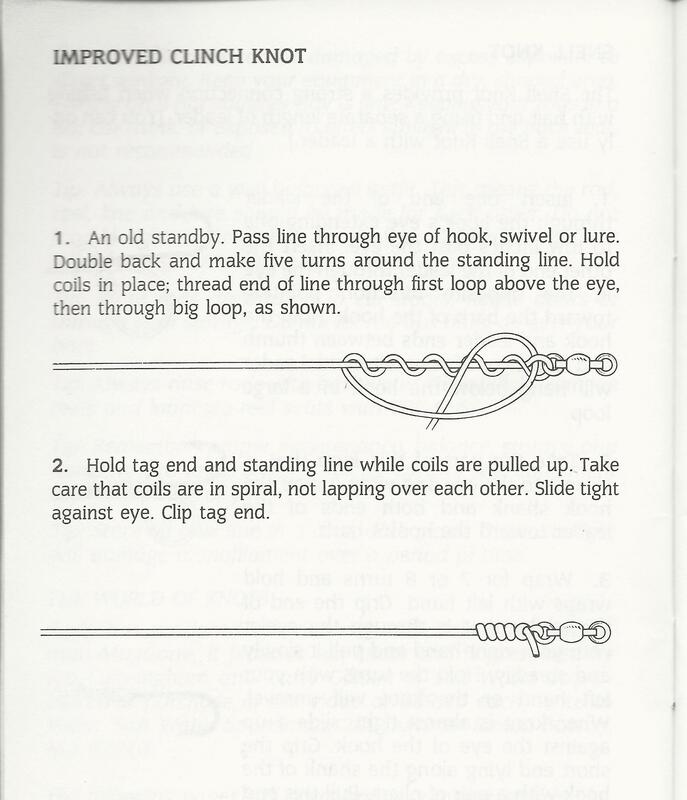 The “improved clinch knot” is the most common knot and easiest to use. The “uni-knot” is the next knot to know and one you will also use frequently.